This winter, the Customs House are bringing the story of Jack and the Beanstalk to South Shields with their annual pantomime and I urge you to go to see it; this is definitely a show thats not to be missed! You don’t need to have been following me on Twitter for long to find that I tweet about the Customs House week in, week out. If you know me outside of the online world, then you’ll also know that I’m always recommending their pantomime to anyone who will listen, regardless of the time of year. You see, the Customs House pantomime holds a very special place in my heart, as well as the venue itself which you can read about in this post. I’ve been going every single year since I can remember and it has never, ever disappointed me. I really mean it when I say that the Customs House panto is consistently my favourite night of the year. With that in mind, I’m sure you can imagine my joy at being invited along to their press night this year. Of course, I’m already going to see the panto before it closes on 7th January, with my family but I jumped at the chance to see it sooner. The great thing about this panto is that no two performances are the same. While the script is incredibly well written by Ray Spencer and Graeme Thompson, the chemistry between the cast and each audience, the comedy gold on stage that no one could plan for and the quick witted ad libs that follow are what make each show unique. 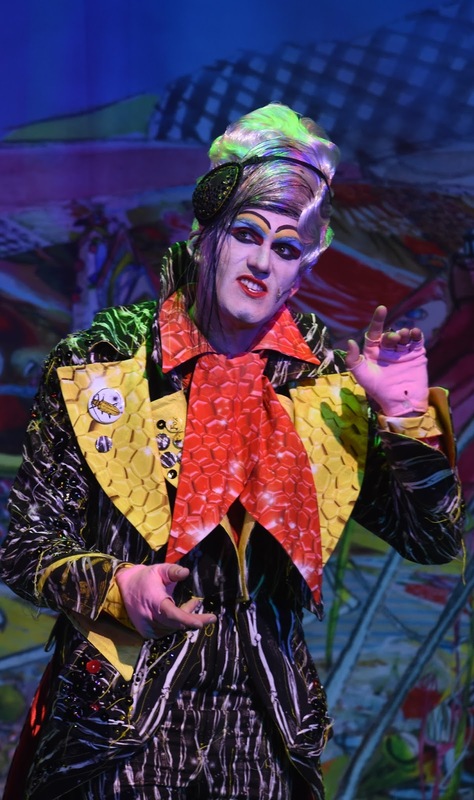 Jack and the Beanstalk will have even the oldest of adults shouting ‘He’s behind you!’ at the baddy Fleshcreep, played by panto favourite Steven Lee Hamilton who has the most fabulous voice. The singing in the pantomime at the Customs House is always to such a high standard and the dancing is great too with the South Tyneside Dance Workshop dancers, expertly choreographed by Jacqui West. 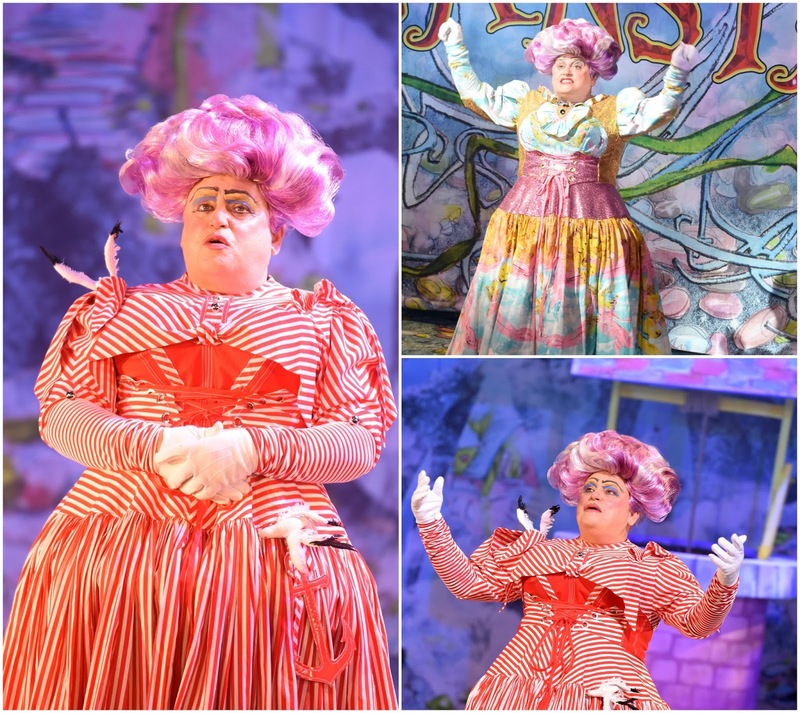 With such a great team, this panto ticks all the right boxes for comedy, acting, dancing and singing. There’s even a performance of Pen Pineapple Apple Pen! You’ll be crying with laughter at the messy scene that is sure to be filled with ad-libs individual to each performance. 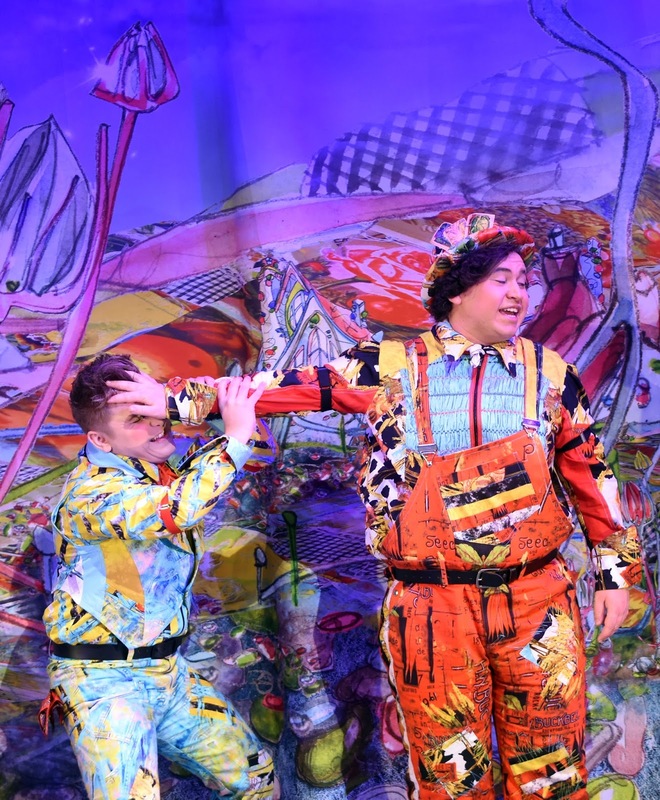 Some instances in panto you can write and prepare for but not control and the cast at the Customs House are ALWAYS great at chucking a few one liners into the mix to have you howling from your seat. 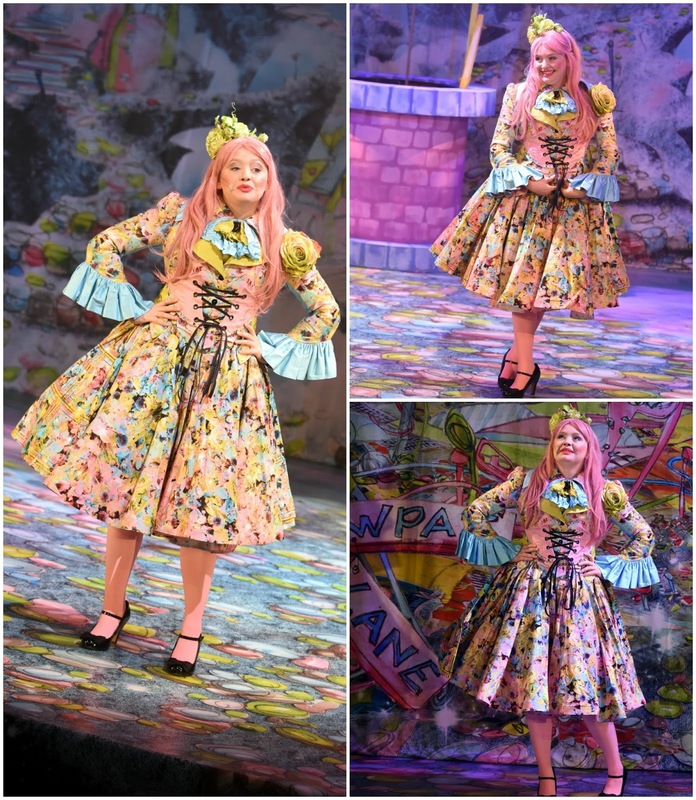 I was very happy to see the superb Natasha Haws back in the panto this year as Eloise, the daughter of the Mayor of Cooksonville, played by the uber talented Gareth Hunter who I have seen performing before in Encore at the Customs House. Being the love interest of two brothers must have its difficulties but in true North East style, lovable Arbuthnot ends up pied and Eloise falls for hero Jack. Traditional and predictable, yes but that’s the story and what a great tale it is. I’d love to see a panto where the underdog gets the girl… oh yes I would! New to the panto this year is the fabulous Eleanor Chaganis who plays the Fairy Arachis, waving her magic wand over Cooksonville in a beautiful green costume, designed by Fox and Shriek. They’re back once again, creating the most magical and mystical bespoke costumes for the Customs House panto with designs that are unlike anything I’ve seen on a panto stage before! 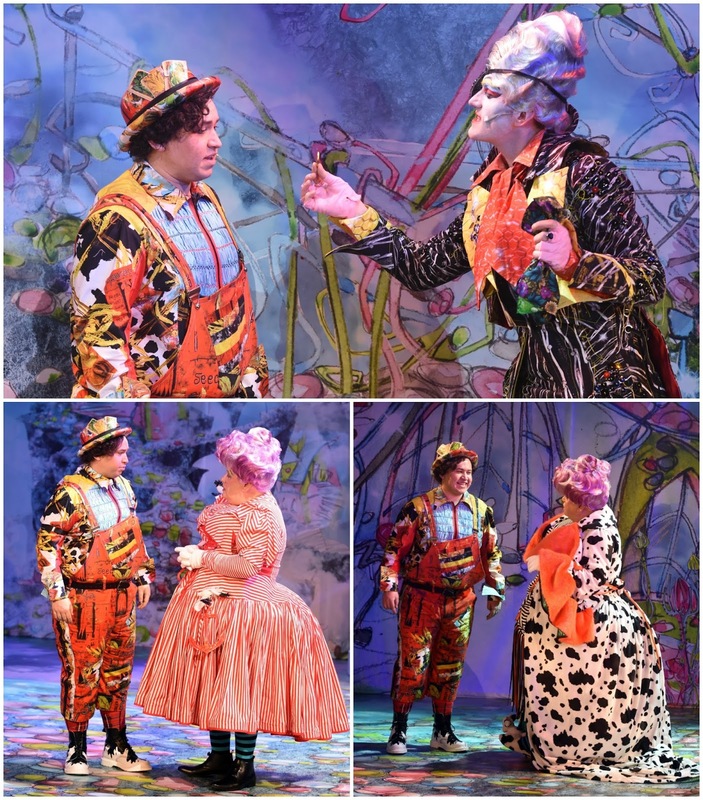 The costumes and the set design are the perfect aesthetic for the story of Jack and The Beanstalk. I’m always really impressed with the fantastic set and staging at the Customs House. Many might think that it wouldn’t be as good for a smaller venue in the region but it is far from that and really rivals some of the bigger theatres. 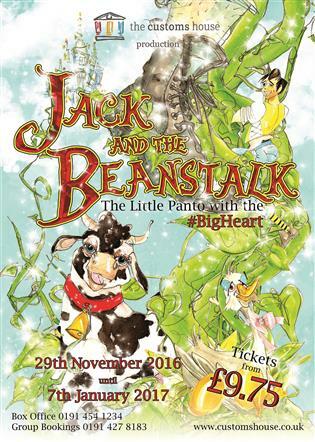 The Customs House pantomime is known as the little panto with the big heart which couldn’t be more apt. It will have you falling in love with the show, the cast and the venue and I guarantee, you’ll be wanting to return year on year, just like I do. Laughter is addictive, especially those proper belly laughs that don’t occur often enough in life, and the Customs House has me creased every single Christmas. At last years panto, I literally cried all of my eye makeup off including my false lashes by the interval so I’d definitely recommend bringing something for touch ups afterwards if you’re going out! 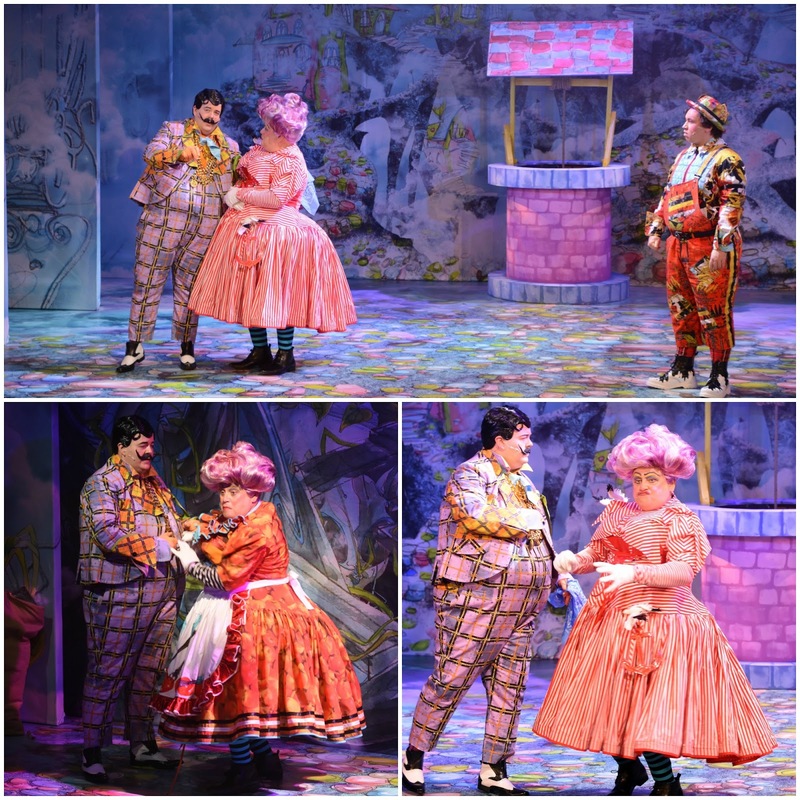 What remains the same with every performance is that the pantomime is HILARIOUS; it is very cleverly written and is as much for adults as it is for children. 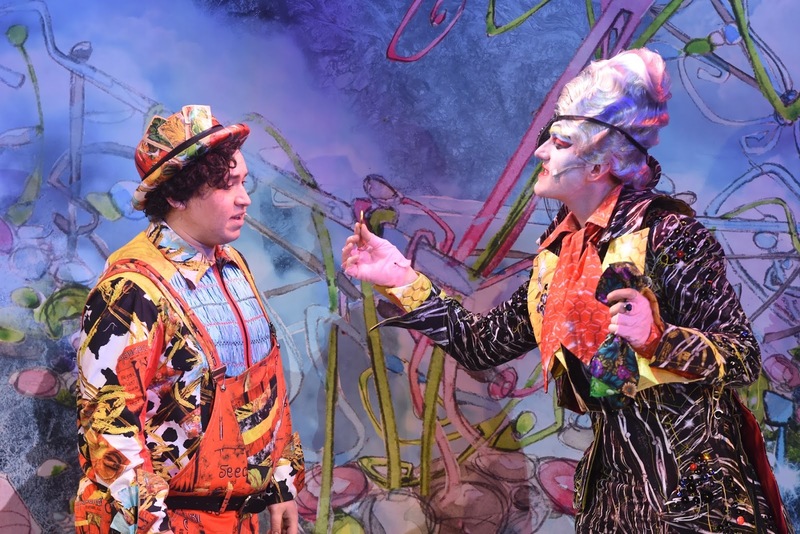 I’ve been to other pantomimes elsewhere in addition to the Customs House in the past and its really felt as though it was solely for kids; fabulous acting, singing and dancing but structured, serious and very much aimed at making children laugh and smile rather than the parents. 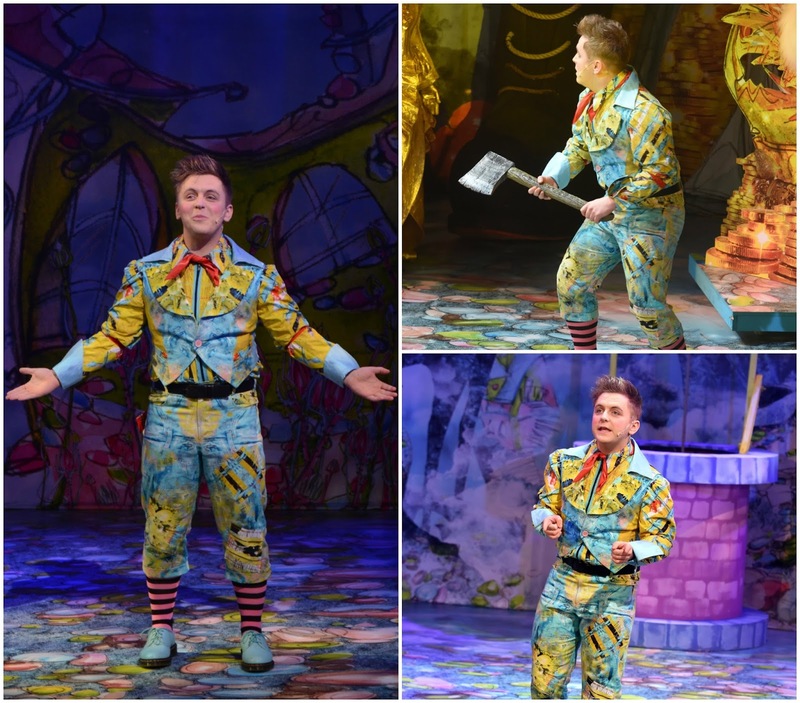 If you’re looking for something thats fun for all the family this Christmas, then Jack and The Beanstalk is undoubtedly the best choice. I’m sure you’ve heard the phrase ‘fun for all the family’ used a lot, especially with events around this time of the year and I don’t know about you but all too often, I find them geared towards young children and families. However this pantomime really is suitable for EVERYONE. This year, I took my friend with me and we both thoroughly enjoyed the performance, laughing our twenty-something and forty-something socks off throughout. I’m sure I’ll have equally as good a time when I go back with my Dad and hubby later on in the run. What’s great about the Customs House is that you always get a fantastic view of the stage, no matter where you sit in the theatre. If you’re on the front row, you’ll not be craning your neck and if you’re at the back there’s no need for binoculars; everyone looks like real people and you still feel as involved and captivated by the performance as if you were sat at the front. In all honesty, it would be hard not to spot the lovable, life size Doddington The Cow who is sure to capture everyones hearts and I’m not going to lie, I am slightly envious of her luscious long eyelashes! You’ll find plenty of pots of Doddington ice cream to enjoy in the interval and for those who have really fallen in love with ol’ Dodders, a soft toy is available to take home for only £5. That’s another thing that I love about the Customs House; they don’t rip you off with ticket prices, refreshments or memorabilia. 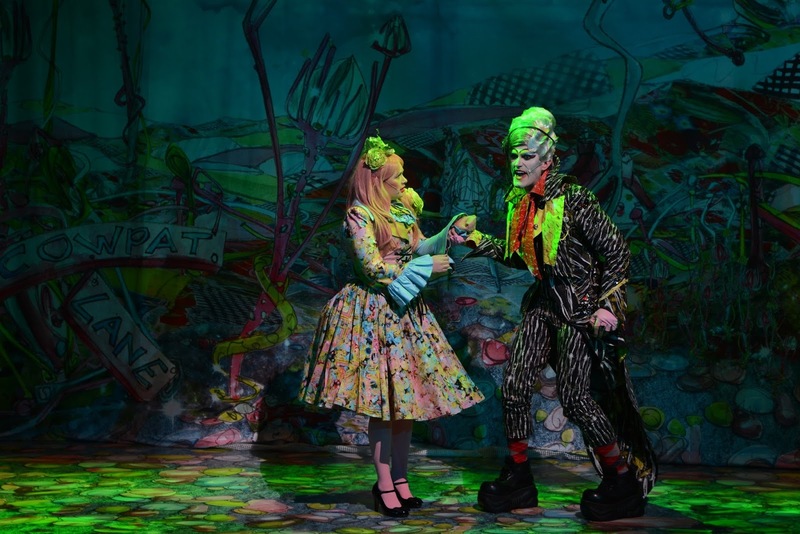 If you’re looking for a panto to go to this winter thats suitable for all ages, affordable and great value for money then Jack & The Beanstalk at the Customs House is more than a safe bet. I’d love it if you could support my favourite venue in the North East. You can see a glimpse of the characters with their advert here. Tickets for the Customs House panto start at £9.75 for 150 minutes of side splitting fun. It runs until 7th January so you’ve got plenty of time to go to see it. I usually go after Christmas as the performance itself isn’t particularly Christmassy that it would feel out of place to go after the big man has been. There’s over 70 shows but you’ll have to be quick and grab tickets while they’re still available. To book, head to the Customs House website, call them direct on 0191 454 1234 or get down to the venue itself at Mill Dam, South Shields, NE33 1ES. What is your favourite thing about a pantomime? Which one is your fave? Have you ever been to the Customs House? I do love a good pantomime / show and the costumes and make up is theatrical and creative. Just the way I like them. The sets and costumes are so unbelievably beautiful, what a wonderful job they have done at the Customs House! This panto sounds like such a wonderful time, I'm glad you enjoyed yourself. This looks like so much fun! It's been ages since I went to a panto. It really does sound and look like a fun show for both adults and children. I need to book in to see a pantomime over Christmas with my little ones. Love the costumes they did a great job with them. I haven't been to a pantomime in years but I'm oh so tempted this year. You make it sound like such a fun night out. Sounds like a really great pantomime, the constumes are absolutely gorgeous and bright. We went to our first panto at the weekend too! This looks like a fab production and love all the costumes! I keep seeing so many people at panto and I haven't been in years! 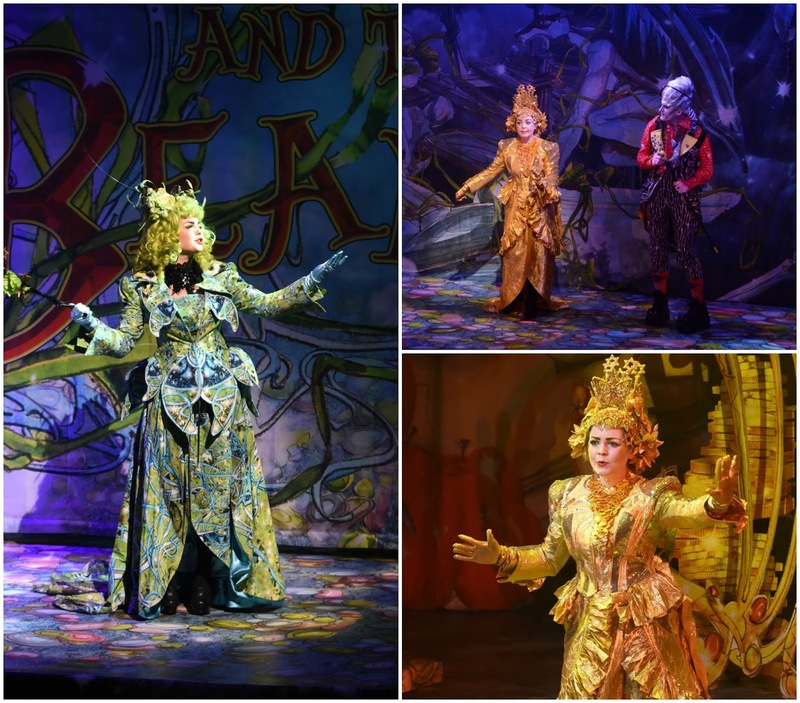 We need a blogger trip to panto…! Love a good panto, such a fun thing to enjoy at Christmas! Such a detailed review! I never usually go to panto's but I've seen so many about them this year! This looks like a great pantomime, the costumes look super too. Oh wow all those costumes look incredible! This looks like such a fun production and great if the adults can enjoy it too! I've never been to a pantomime. This show looks well worth the visit.